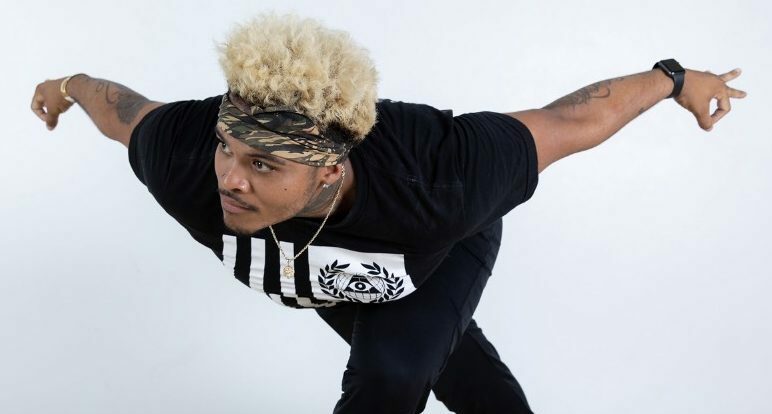 The ATL Hip Hop Vinyasa workshop is an all levels experience which braids together dope music, dance, Emotional Intelligence Training (EIT), HIIT, philosophies of yoga and hip-hop, poetry, traditional asana and self expression. You can expect to hear spoken word poetry from Shuja De’Peace, deeper understanding and appreciation of your emotional body through the lens of EIT and of course sweat. In this workshop you will learn the intersection of Yoga & Hip Hop, how they are much more similar than you might expect and how when placed together they create a radical path of liberation in this yuga (age). You will leave not only feeling stronger, more focused and connected to a deeper sense of belonging but with your own poem/mantra to motivate you to achieve your goals and stay true to fulfilling your dharma/vision. Shuja De’Peace has a natural gift for igniting the fire in each of his students, which he achieves by supporting them in finding the connection between their Mind, Body and Spirit. Bring your partner, husband, doula or friend to deeply connect through yoga, breathing and childbirth preparation. Your partner will learn how to support you through labor and you will both leave feeling relaxed and prepared for childbirth. Amy weaves through it what she has witnessed as a doula. Please pre-register by May 3rd. Amy Robinson is the owner of 3 OMS Yoga, as well as an experienced doula. She is gifted at supporting people through healing and transformation, and you will leave class feeling relaxed, more open, stronger, and clear. In Yoga we learn how to become clear and accepting of ourselves and how we feel in the moment. Emotional awareness means freedom to feel MORE joy and tenderness, LESS anger and fear. The workshop is a framework of techniques and practices that bring forth physical release and emotional relief in combination. If you are interested in finding: inner resolve, respect for your own path in life, mutual understanding, forgiveness and wisdom, this day is definitely for you! 1: Emotional states, common needs and mindfulness. 2: Inquiry methods – interactive meditations to clear stressful patterns. Workshop will include light asana, breathwork and meditations. 1hr lunch break. Michal Retter has a passion for creating a non competitive and open space for self-discovery and self-love of our multi faceted nature – mind, body and soul. Anxiety is one of the most common challenges of our modern culture. Stress contributes to the most frequent forms of serious illness, such as heart disease and cancer. Don’t worry! The ancient wisdom of yoga is here to help! Because anxiety affects mind, body and spirit, yoga offers a variety of tools to address the whole being. Yoga postures help relax muscles and build confidence. Breath techniques sooth the nervous system, decrease heart rate and improve digestion. Meditation calms the mind and can help redirect it from stressful thoughts. These tools are woven together in this afternoon workshop, giving participants simple, practical techniques to recognize and reduce anxiety. Cat Enright has completed over 800 hours of training, and is a Certified Yoga Therapist. She is deeply committed to yoga as a holistic path to freedom and joy. Her intention in teaching is to help students to see themselves authentically, with compassion and patience.